OsmDroid have just relaesed a new version of WhatsApp Reborn. This version is expected to fix the regular 4.am whatsapp crash, keyboard crash and some other bugs. ==> More work done on precautions for WhatsApp ban. To further improve the antiban. ==> In-App Updater is now working again. Starting from this version. ==> HOLO ui is back again. ==> Crash at 4 am fixed. ==> Search FAB crash in Calls UI fixed. ==> Delay in start-up fixed. ==> Download WhatsApp + reborn 1.60 HERE. For those who already have WhatsApp + on their device, there is no need to uninstall, simply download the latest version and update. 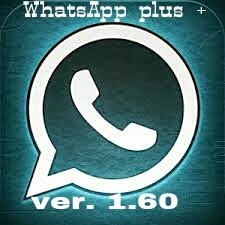 DOWNLOAD WHATSAPP + REBORN 1.60 HERE.